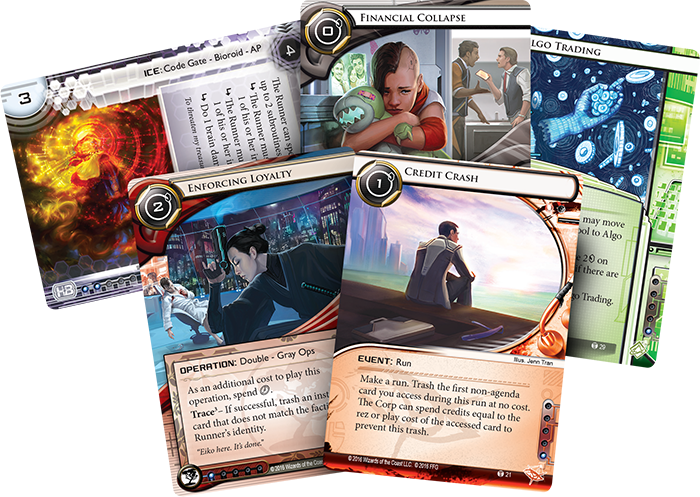 Fantasy Flight Games is proud to announce the upcoming release of Blood Money, the second Data Pack in the Flashpoint Cycle for Android: Netrunner! 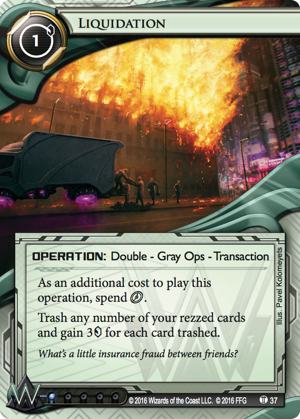 With its sixty new cards (three copies each of twenty different cards), Blood Money continues to explore the New Angeles transformed by the Twenty-Three Seconds incident and the events of the Flashpoint Cycle. You'll find a host of cards that focus on using wealth to build wealth. You'll find a pair of powerful Corporate Trace cards that you can play even if the Runner didn't just make a run. And you'll find plenty of people looking to take advantage of the chaos in New Angeles, from Prisec operatives and bounty hunters to news reporters and rumor mongers. Finally, the environment of Blood Money is particularly good for fans of the Weyland and Criminal factions, both of whom receive new identity cards. In contrast to Haas-Bioroid, Jinteki, and NBN, the Weyland Consortium is not chiefly concerned with producing anything. Instead, its business model is predicated on the purchase and sale of other corporations. To that end, the Consortium is dedicated to getting maximum return from every investment—whether that means a short-term flip or a long-term stake, and as dozens of former Runners would tell you (if they could), the Consortium is willing to go to great lengths to ensure its success. Because the Consortium's founder, Jack Weyland, made his fortune in materials and construction—most notably by conceiving and constructing the New Angeles Space Elevator—the Consortium has long been associated with construction and industry, but its portfolio is so diverse and varied that it's hard to say exactly what the Corporation does. What we do know is that Jack Weyland and his big ideas are no longer at the center of the Consortium. The current board of directors appear far more conservative. In the game and the Flashpoint Cycle, this translates to a Corp that comes loaded with assets, like its C.I. Fund (Blood Money, 36), and one that will do whatever it can to protect them and ensure they can turn a tidy profit. 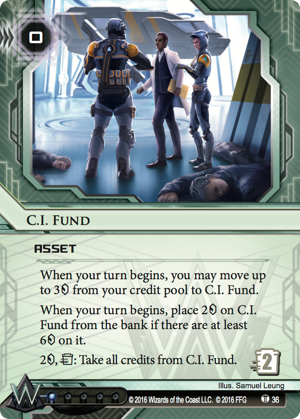 Moreover, since the Twenty-Three Seconds incident has pushed each of the Corps toward desperation, and the Flashpoint Cycle offers us a new version of each, which comes baring its teeth, Blood Money offers us a new Weyland Consortium identity, Weyland Consortium: Builder of Nations (Blood Money, 38). 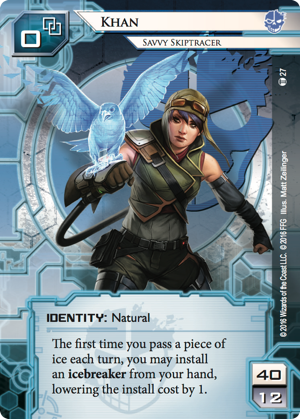 Weyland's advanceable ice have long been one of the faction's signatures, and fans have already responded positively to the reveal of the new Mausolus that was revealed in the announcement of 23 Seconds and that is coming out later in the Flashpoint Cycle. Now, by forcing the Runner to suffer a point of meat damage the first time he encounters a layer of ice with an advancement counter on it each turn, Builder of Nations rolls the faction's strength in advanceable ice into its reputation for violence. 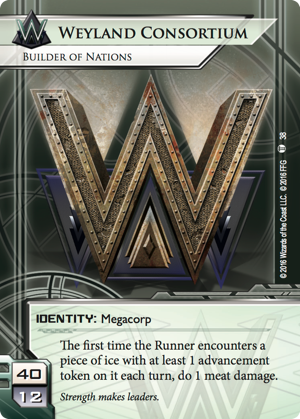 And if the Corp's advanceable ice and… more aggressive means of negotiation… aren't enough to discourage Runners from trying to seize its assets, Weyland is plenty happy to liquidate all those threatened assets. For example, if a financial crisis should devalue one of the Consortium's New Angeles-based holdings, that holding might go up in a blaze, and it would only be a happy coincidence that the insurance value would have been set prior to the collapse. When situations change, and you can no longer protect all your assets, this sort of Liquidation (Blood Money, 37) might be wise—even if it's not necessarily legal. While we tend to think of Runner versus Corp, that model is a bit oversimplified. 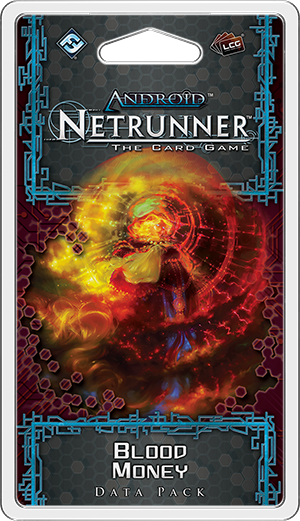 After all, as we have seen, the Runners in Android: Netrunner all run for different reasons. In fact, it is their motivations that define them—placing them in one of the game's three Runner factions: Anarch, Shaper, or Criminal. The last of these, the Criminals, are easily the hardest Runners to pin down. While at their root, their motto seems the simplest to understand—run to make a profit—turning that profit means that the game's Criminals will often find themselves working for anyone willing to pay them. And that often means running for those with money, i.e. the Corps. So it's not always Runner versus Corp. 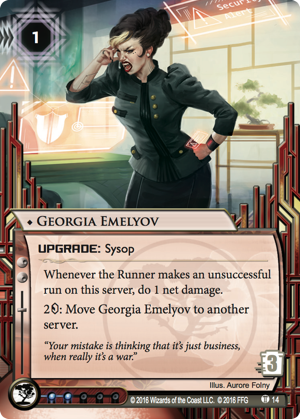 Sometimes, as in the case of the new bounty hunter from Blood Money, the situation might even be Runner versus Runner, on behalf of the Corp. True, in order to get the info she needs to track her prey, Khan (Blood Money, 27) may have to hack a Corp account here or there, but it's not in order to go after the Corp—unless she's been hired to go after the Corp or, more precisely, someone in it. As a Runner, Khan doesn't bother with physically capturing her bounties. For her and the Corps that employ her, it's enough for her to provide her clients with the data they need to get eyes on their targets. This means she gets to enjoy all the thrills of her runs without the addition of any unnecessary risks. 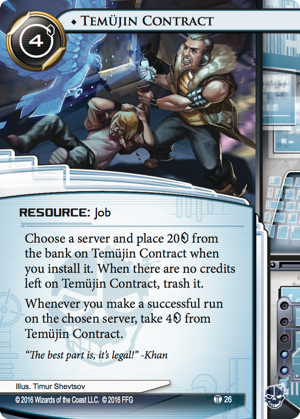 And as Khan might say, the best part is that it's legal. Agreeing to take on these contracts may not win Khan any friends among the Runner community, but neither will it put her squarely in the sights of the NAPD. Even in the wake of the Twenty-Three Seconds incident, there's always money to be made. Whether you run for it or protect it for all you're worth, be sure you get yours. Blood Money is scheduled to arrive at retailers in the third quarter of 2016!